We live in a climate where the sun shines most of the time and our humidity is usually 13%. That means our skin dries out real easily, especially in the wintertime. My sister lives in a climate that's cold and dreary in the winter, and her hands crack and bleed! We need an INDUSTRIAL STRENGTH MOISTURIZER with STAYING, HEALING POWER!!! What to do? Drink more water, certainly! But, this calls for something rich and thick, with healing properties for those extra dry, troublesome spots! This calls for a little Elbow Grease! 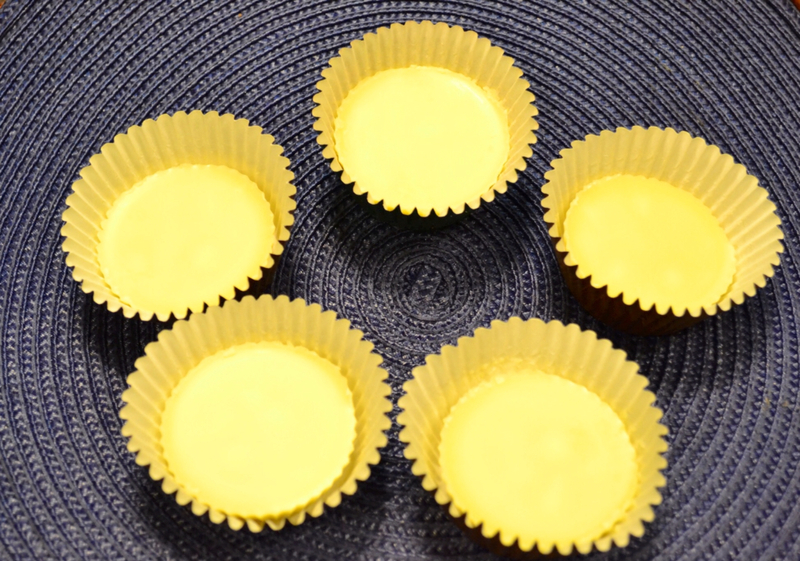 Use silicon muffin cups for your molds. I've done a lot of research on the different oils used in lotions and I must say I am more than a little impressed with all the healing properties found in Raw Shea Butter, Organic Virgin Coconut Oil, and Organic Jojoba Oil! Raw Organic (Unrefined) Shea Butter ~ Contains vitamin A, E, F, K, antioxidants, linoleic acid, alpha-linoleic acid both acids work to soften, moisturize, and revitalize dry skin, treatment for eczema, and helps to reduce wrinkles, and maintains elasticity. Studies have shown Raw Shea fat compounds reduce inflammation by 45%. 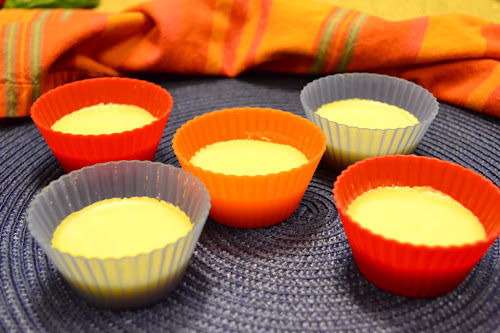 (Make sure to use only raw, unrefined Shea Butter to maintain the healing properties). Organic (Unrefined) Extra Virgin Coconut Oil ~ Rich in vitamin E (antioxidant), helps form a barrier on skin to ward off infections and supports a natural chemical balance on skin. It's naturally antibacterial, anti-fungal, antimicrobial, anti-viral . . . talk about healing properties . . . an anti-inflammatory, reduces itching from insect bites. Topically applied, the antioxidants in Virgin Coconut Oil prevent free radical formation, thus helping prevent skin cancer. Pure Organic Jojoba Oil ~ Contains vitamins B and E, minerals chromium, copper, zinc, silicon, and iodine making it antimicrobial, anti-fungal, and antibacterial. It is an emollient easily absorbed into the skin causing it to work well with other less expensive oils, to moisturize, bring healing, and relieve inflammation. Organic Beeswax ~ An anti-inflammatory , antibacterial, and anti-viral, containing vitamin A, which helps to rebuild skin tissue, healing burns, scrapes and wounds. It works as an emollient and humectant to seal in all its wonderful, beneficial, healing properties, as well as, those contained in the Raw Shea Butter, Organic Virgin Coconut Oil, and Jojoba Oil used in my Healing Balm Discs. 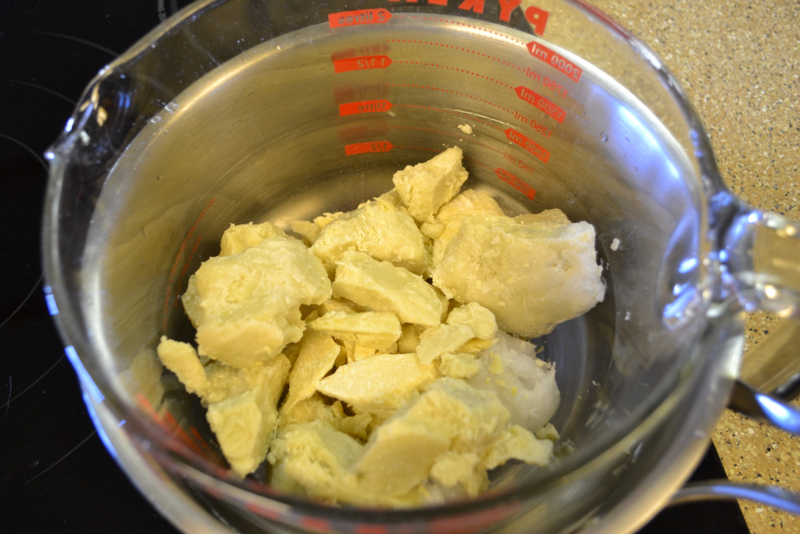 Weigh out your Shea Butter, Coconut Oil, and Beeswax - cut wax into 1-inch chunks. Using the double-boiler method melt Shea Butter, Coconut Oil and Beeswax in a glass measuring cup placed in a saucepan of water (glass is easier to clean) over low heat. (this will take about 20-30 minutes). You want to keep the temperature between 170F and 185F. I kept an eye on the melting process while working another project in the kitchen. To your melted oils; add 1 tablespoon Jojoba oil, stir using a wooden skewer or small infant spoon. 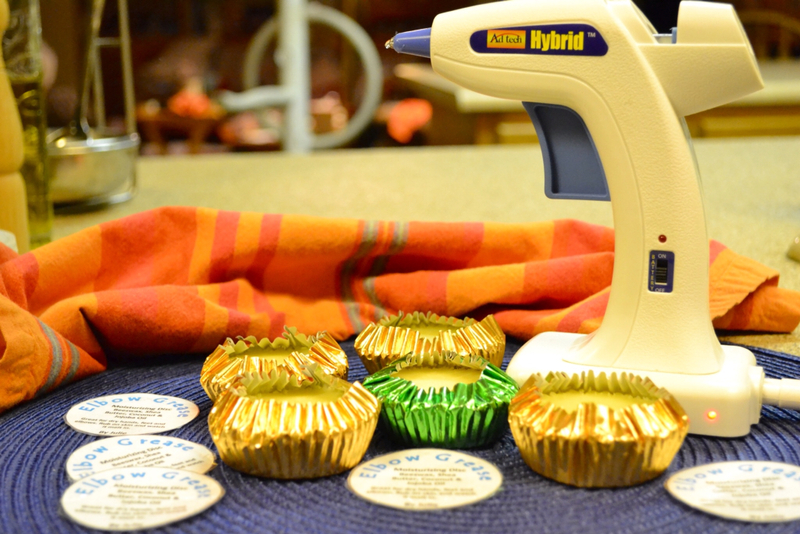 Wrap in foil cupcake papers. Make your own personalized labels, cover in packing tape to laminate. Use a hot glue gun to affix the label. 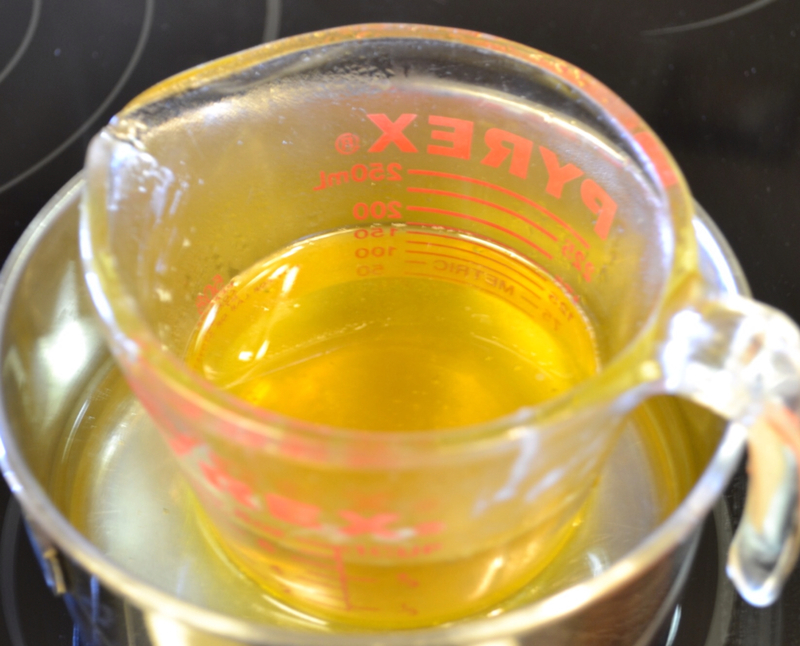 Melt Shea Butter, Coconut Oil and Beeswax on LOW heat, using the double boiler method. When butter, oil and beeswax are completely melted remove glass measure from heat and add the Jojoba Oil and mix well using a bamboo skewer or a long handled infant spoon. 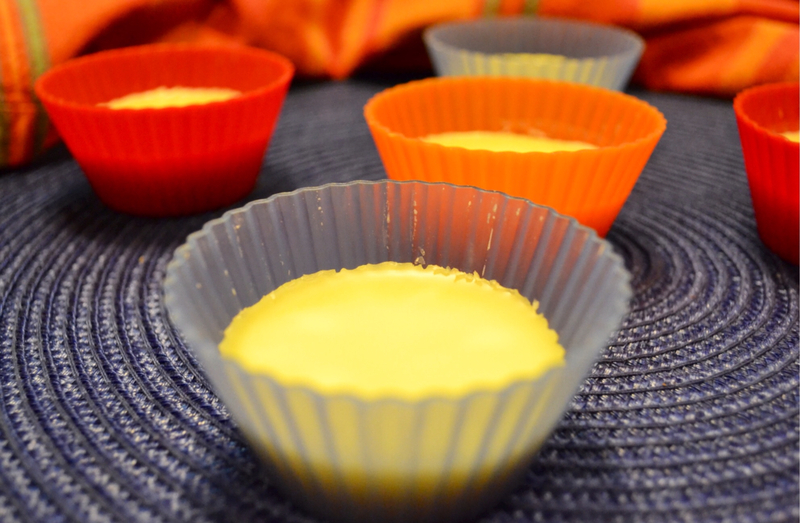 Pour melted butter, oil, beeswax and Jojoba oil molds of your choice. Refrigerate until hardened, about 1 hr. 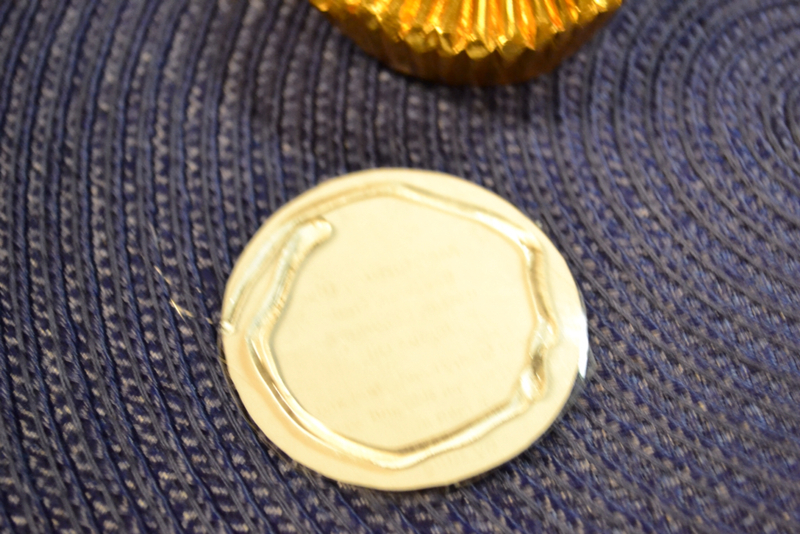 Slip cooled discs into foil cupcake papers. Print out your personalized labels; cover both sides in packing tape to laminate. Run a bead of hot glue around the bottom edge of your label. 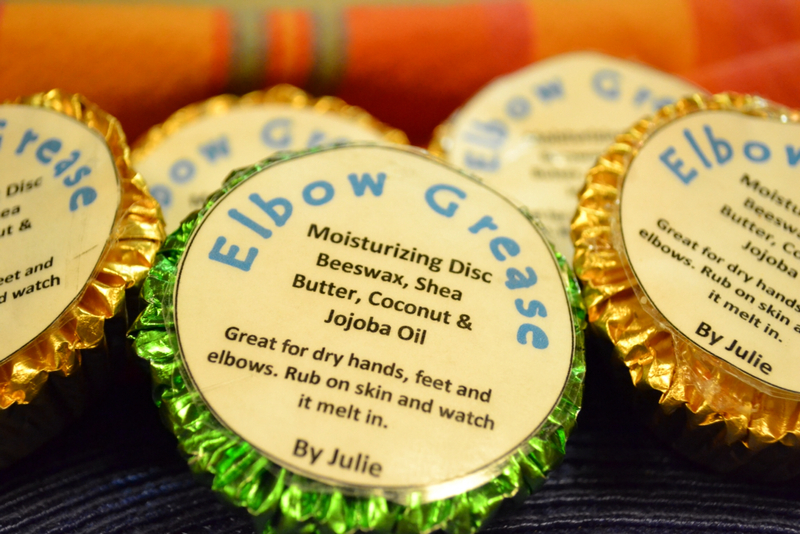 I'm surprising My sister, Jann with a care package of homemade Elbow Grease ~ Moisturizing Healing Discs and a jar of my whipped body butter, appropriately named ~ Raw Indulgence! Jann has been using Burt's Bees Hand Repair Cream - $13.00 for 3.2 ounce tube! Her hands are still cracked and bleeding! The problem with even the "good over the counter stuff" is the #1 ingredient is WATER! You saw my list! 4 organic____unrefined____ingredients . . . No watering it down to save a buck, and yet making my own does save $$$$, and my hands, elbows and heels feel soft, smooth and hydrated! I've been pondering if this could take the place of those alcohol laced "antibacterial" wipes we use? Would appreciate your thoughts on the subject! Those can't be good for our hands, and they certainly mess with the natural chemical balance of our skin! Keeping it real, moisturized and healthy . . . Over at Julie's!! !